Toaster ovens can be a great way to broil steaks indoors, without heating up the kitchen. Toaster ovens do not use a lot of power, and, because they aren't burning charcoal or propane, are greener than an outdoor grill in terms of emissions. 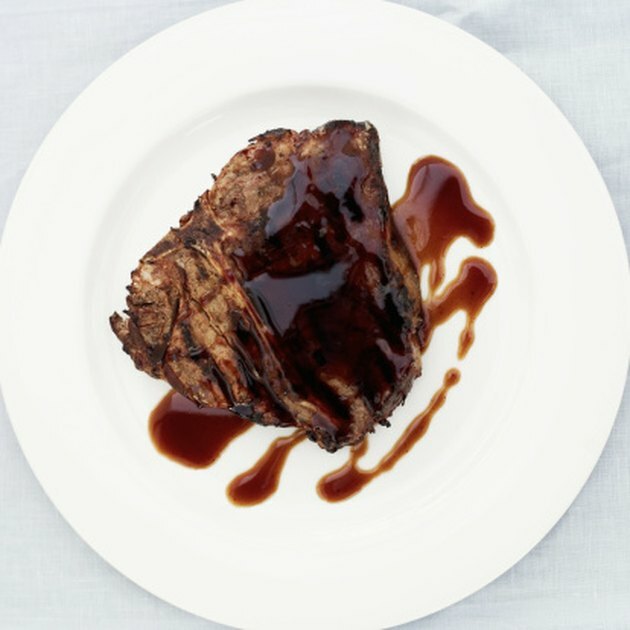 Steaks broiled in your Toastmaster toaster oven can be ready in minutes, and condiments like rubs, liquid smoke and sauces make them pop with flavor. Place the broiler rack on the pan of your Toastmaster toaster oven and lightly coat with cooking spray. Turn toaster oven setting to "Broil." Rinse the steak with water, pat dry and coat both sides with pepper and rub if desired. Place the steak on the broiler rack. Set the timer on your toaster oven to six minutes. Using oven mitts, place the steak into the toaster oven and close the door. Open the door when the timer sounds, turn the steak to the other side with tongs and set the timer for another three minutes. 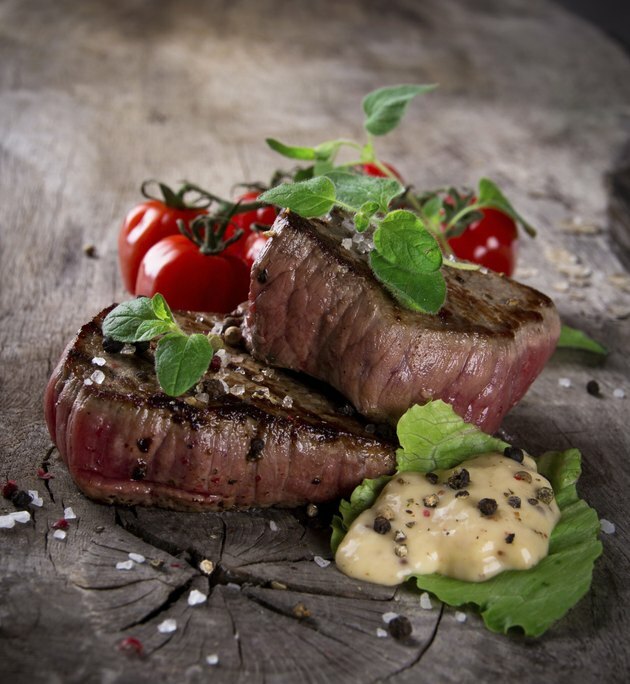 Check the steak for desired doneness; the internal temperature should be 160 degrees F for a medium-rare steak. Cook another two or three minutes if further doneness is desired. Place the pan on heat-safe surface. Salt the steak to taste, if desired. Serve with steak sauce or sauteed onions. Prepare side dishes in the oven ahead of time. Baked potatoes and oven-roasted vegetables can be kept on top of the hot toaster oven to stay warm during the time the steak is broiling. Always use oven mitts, because the outside of your Toastmaster toaster oven will heat up and stay hot after the oven is turned off.